Beautiful site, pretty backgrounds, CONGRATULATIONS FAYA!! 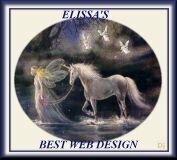 You are a winner of Elissa's Award. I enjoyed visiting your homepage.Great job!! who have a nice site-one that does not have lots of images copied from other pages. I'd like to give you this Good Job Award. of the HomeGrown Excellence Award!